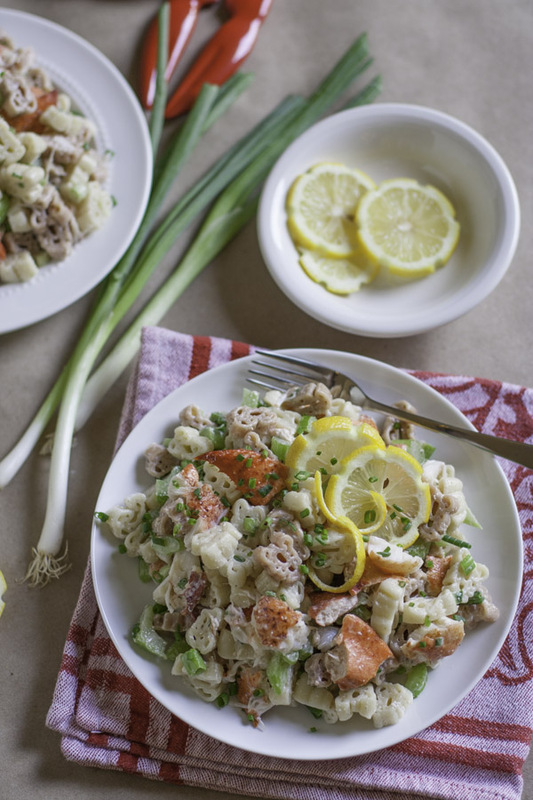 Our Lobster Pasta Salad recipe has been a favorite splurge for years, but has now taken on a new perspective and we love it even more now! When John celebrated a “big” birthday this summer, (no, I’m not going to say which one!) I decided to “gift” him with a trip with yours truly to mark the occasion. I came up with a list of choices for him based on destinations that were still on our to-do list. And by “to-do”, I mean places where we could EAT our way through them! After some careful deliberation, he choose: Maine! Can you say LOBSTAH?! So off to Portland we went. 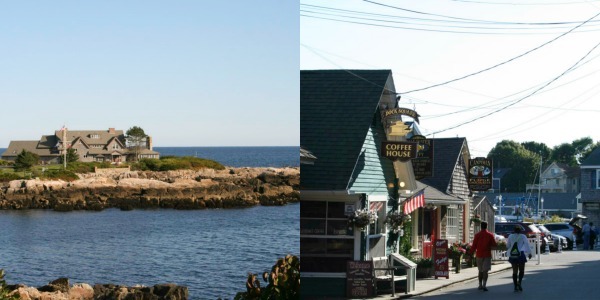 Say hello to Lobster, Lighthouses, LL Bean, and a Food Lover’s haven. A hip, cool, and current foodie scene that we couldn’t wait to explore. It’s unusual in this phase of our lives to take off without our kids, extended family, or some business meeting or tradeshow awaiting us. This weekend was wonderful fall getaway, packed full of incredible food and fabulous views. Portland was our home base but we did venture out and get a peek at some special places. York: our friends Jonathan and Jim (and Kathy and Natalie) have built Stonewall Kitchen into one of our country’s leading specialty food companies and also one of Maine’s favorite destinations. Touring the production site was inspiring and we loved seeing their success up close! Thank you Kathy! Kennebunkport: no matter your political views, seeing the Bush compound and the beautiful Maine coastline was fun! 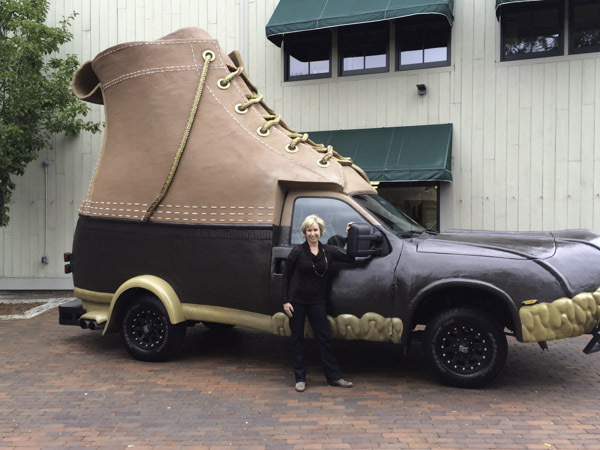 Freeport: LL Bean – open 24/7 – need I say more? The fabulous food and our dining experiences though were the focal point of our weekend…surprise, surprise! 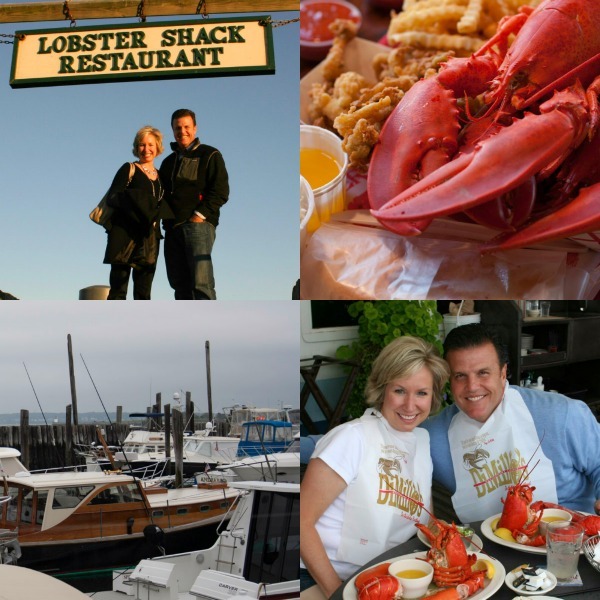 Some happy and memorable meals were shared at Hugo’s, the Lobster Shack, Central Provisions (recently highlighted as a top 2014 restaurant in Bon Appetite Magazine), and DiMillo’s – where BIG lobsters can be found. And yes, lobster was cracked, eaten, and then cracked and eaten again. We couldn’t get enough! Coming back home, I still had lobster on the brain and couldn’t wait to share the stories with our kids over a Lobster Pasta dinner. What do you think of when you think of Lobster? A Lobster Roll? 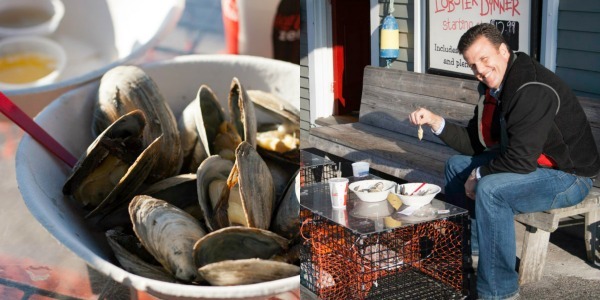 It’s one of Maine’s most popular lunch and dinner items. You can’t go wrong when you combine mayo with fresh sweet lobster served in a white toasted buttered bread. 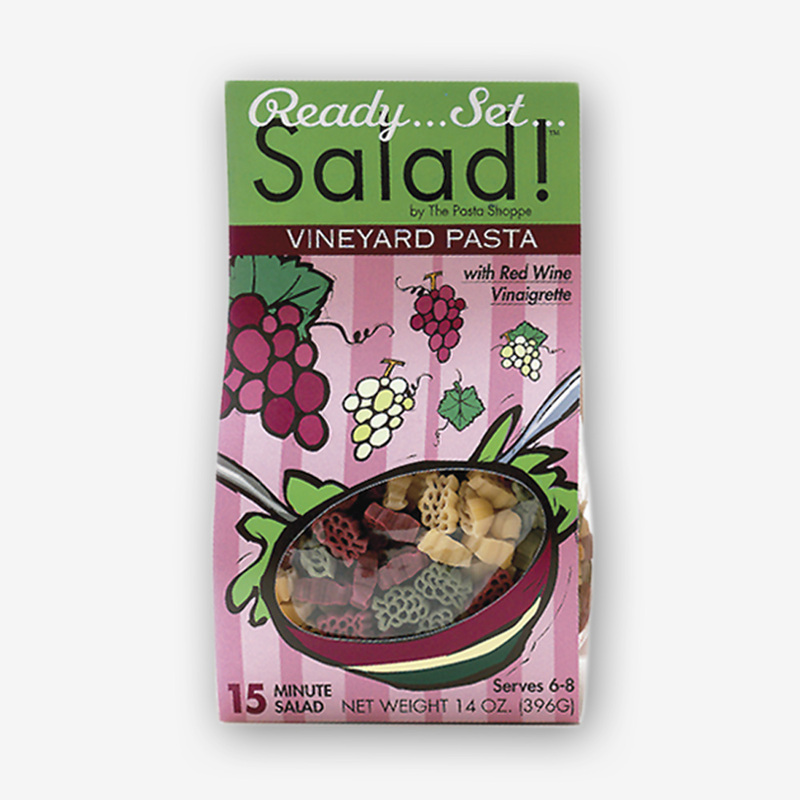 But I had something else in mind…Lobster Pasta Salad. We’ll sub one carb for another! Bite sized pasta paired with bite sized pieces of lobster…YUM! Of course the more lobster included in the recipe the better! 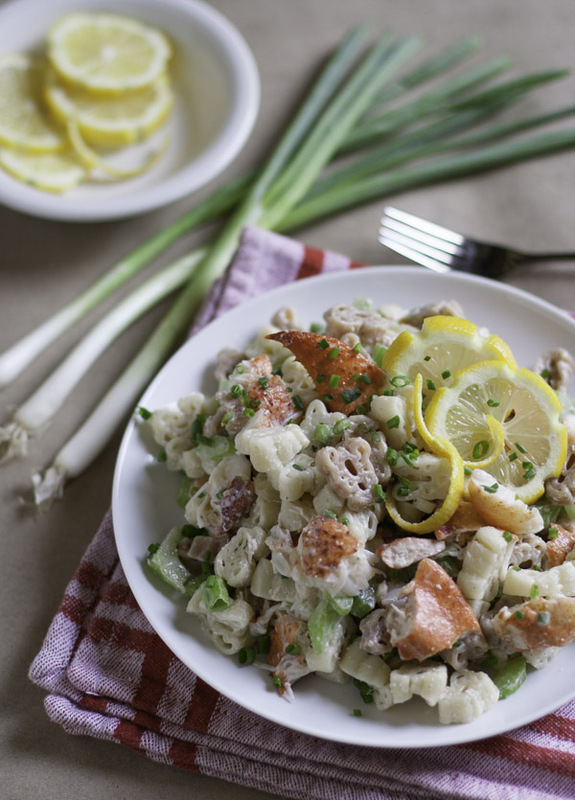 For our dressing, forget plain ole mayo, the combination of the fresh lemon juice, the crunchy celery, sliced green onions, with the added zip of Old Bay seasoning and onion salt are perfect. 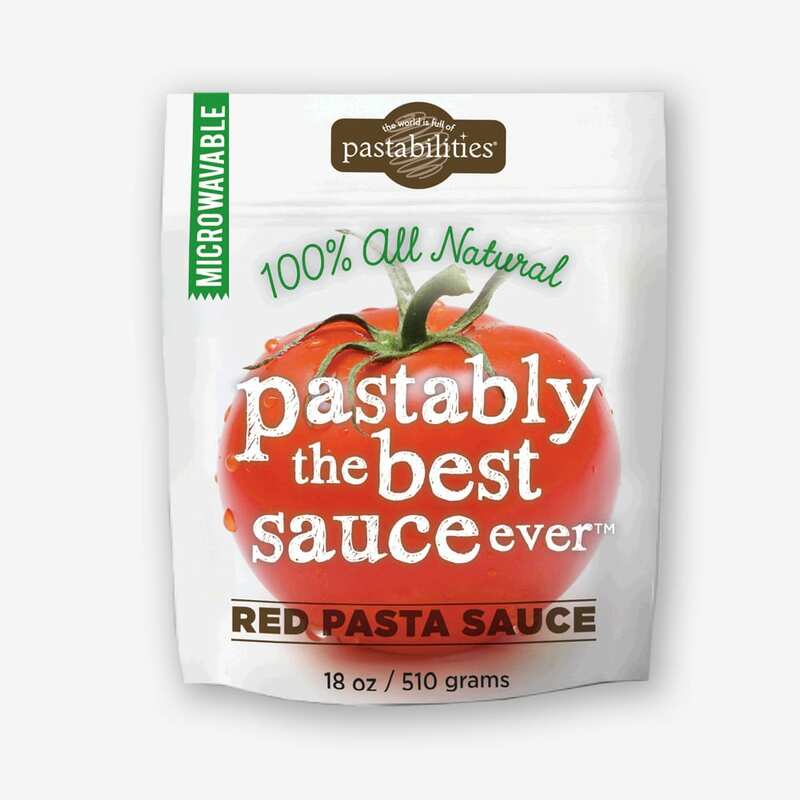 They add more complementary flavors to the lobster and pasta without taking away any the sweet luscious lobster meat taste that we all crave. 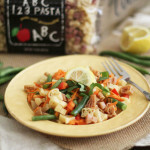 This is a Lobster Pasta Salad that I say rivals any Lobster Roll. My family couldn’t stop eating it and the bowl was EMPTY and left them begging for more. Was it the Lobster? Or the Lobster Pasta? Hehehe…I had to ask! But keep in mind that if a carb must be involved…make it a specialty high quality shape! A real treat! Lobster has never tasted this good! 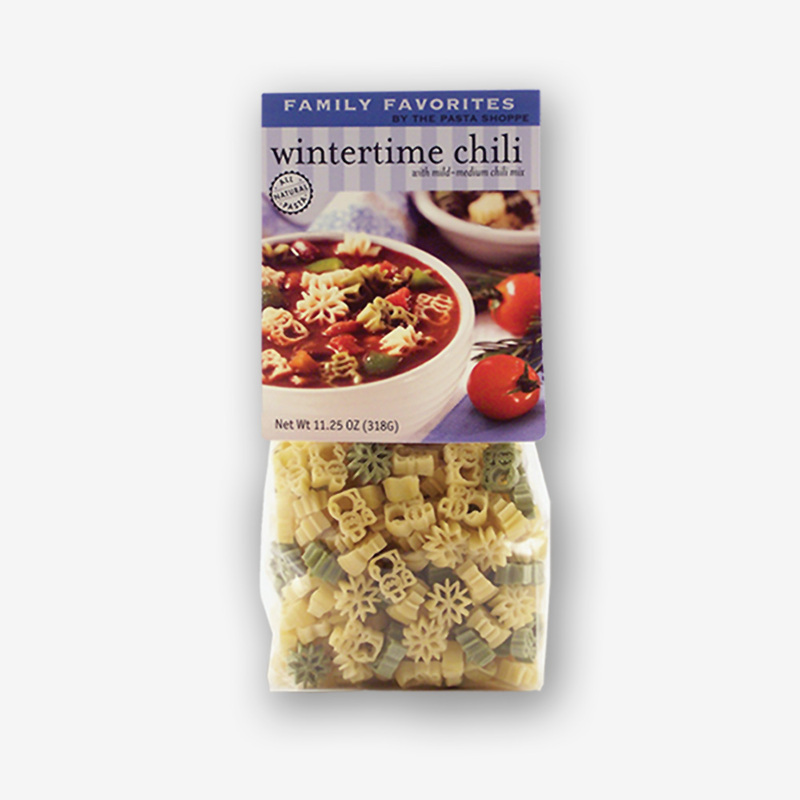 Cook pasta in GENTLY boiling water for approximately 6 minutes, until tender but firm. Drain and rinse with cold water. In a large bowl, thoroughly combine mayo, lemon juice, and seasonings. Add green onions and celery. Add pasta and lobster and gently toss. Top with lemon zest, lemon slices, and chopped parsley. Also delicious served with a garnish of cherry tomatoes or sliced avocados! Looks awesome. We go to Wells Beach every July for a week, and I so look forward to a nice lobster and steamer dinner! I’m jealous! Sounds so fun…and I’d be eating lobster everyday! Loved looking at your photos. I knew where most were taken since I live in NH and the coast is the most favorite place for me. Glad you enjoyed ME. 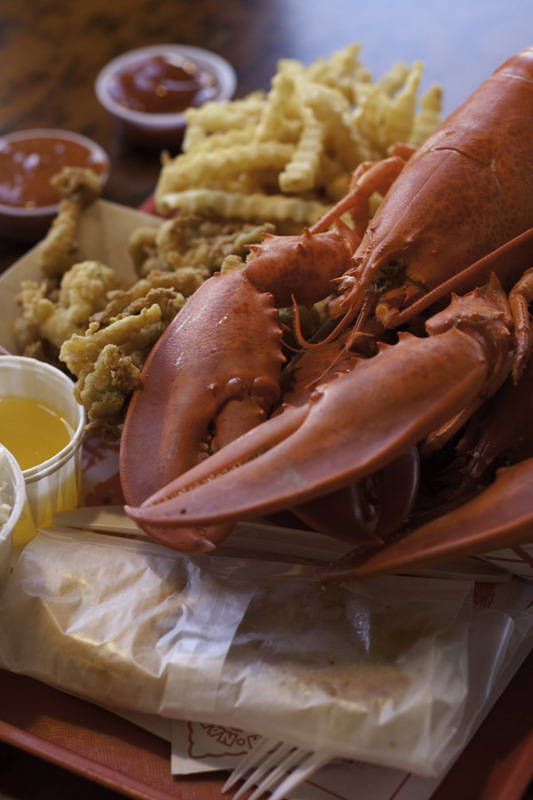 and maine lobsta…. Thanks Lisa! Appreciate it – was a memorable trip!! I’d never seen that coastline and WOW! 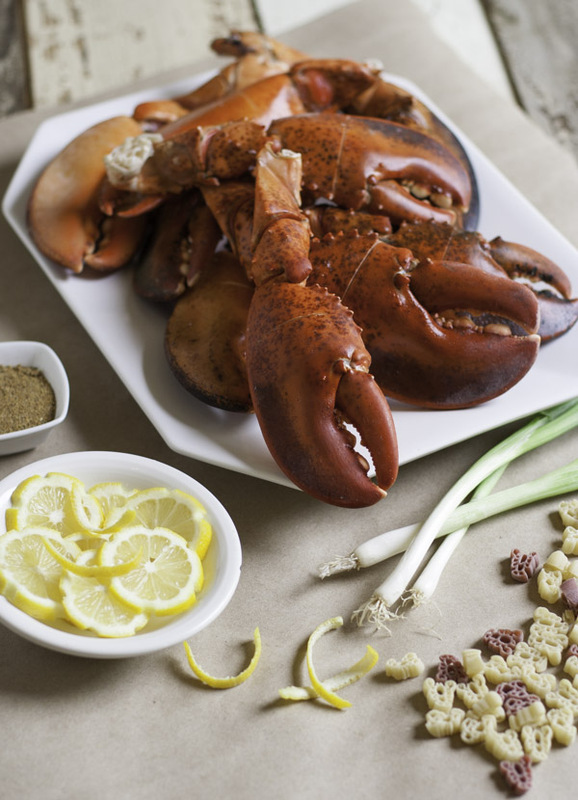 Ive had crab salad before but never lobster, will have to try it for sure, looks soo good. 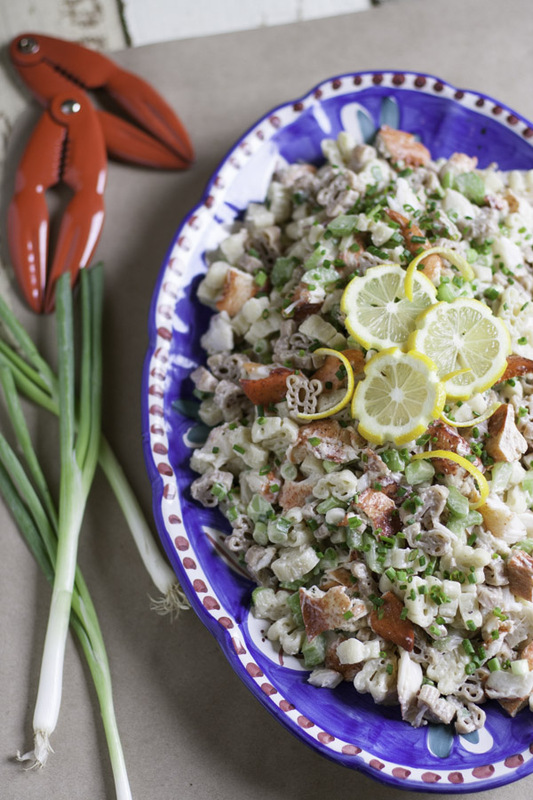 You could make this same salad with crab too and I know it would be delicious! But do try it with lobster and let me know what you think! I bought mine at Costco by the way! Thanks Julie – let me know what you think after you’ve tried it! Looks very delicious. My family would love this. Sounds great Jacqueline! You won’t be sorry! so will have to make this! yummm! i am soooooooooooo gonna make this!! sounds delicious and i love the fun shapes. Lucky you! Please let me know how you like it! These look so delicious and thanks for the recipe. I will try it this weekend. Oh this looks so amazing! 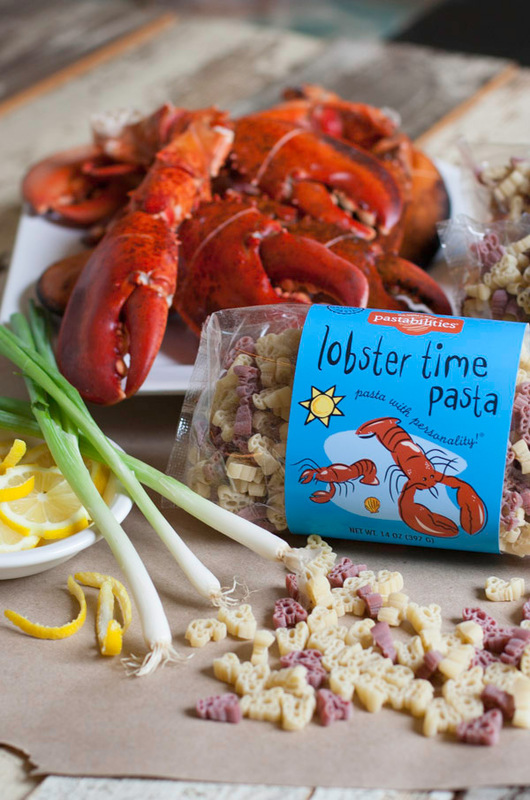 I have to try this out, I love pasta and lobster….so it’s a win-win! Looks delicious! 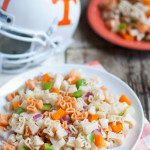 Anything with pasta is a winner!! 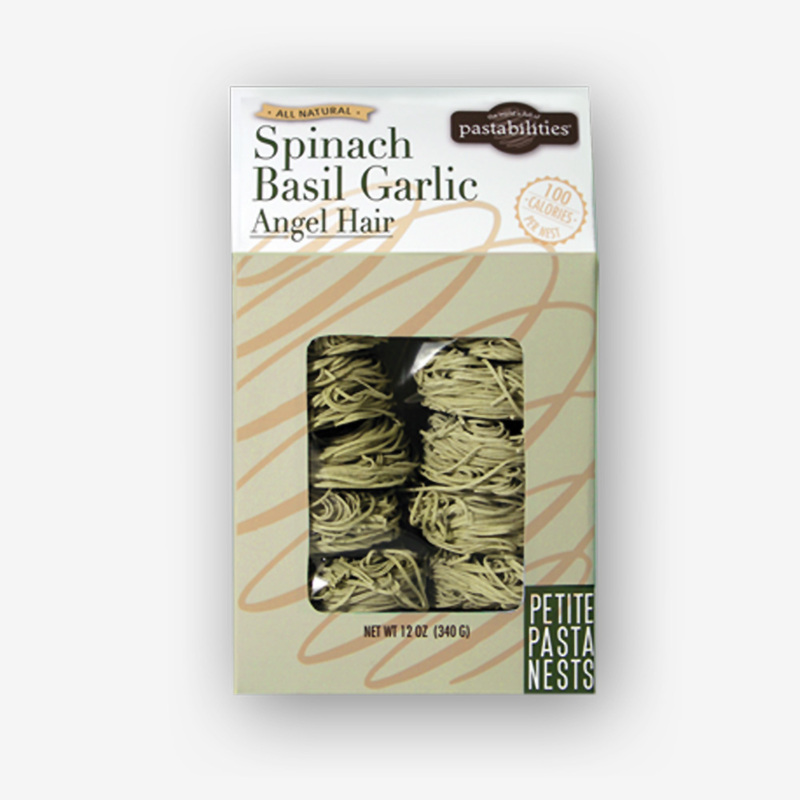 Happy to know you are a pasta fan too! Stay tuned for more recipes!! Had my first lobster roll this summer in Maine! Great times! Mmmmm good. Aren’t they amazing?!! And addictive!! I have been to Maine and the lobster is amazing. I been to the restaurant The Lobster Pound in Ogunquit. I would love to open up a a box of pasta from the Pasta Shoppe. Infinite pastabilities. Love your use of words! Thank you! Thanks for the tip on buying the lobster at Costco. I’m definitely giving this recipe a try! What a fun trip you had–thanks for sharing so many beautiful pictures!! I was so bummed that we didn’t make it to Eventide…but DiMillo’s was FAB! I agree it is a fun foodie town! 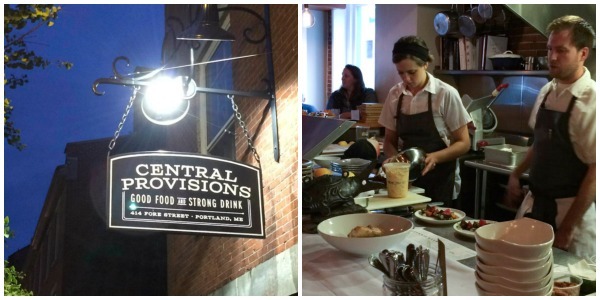 Next time check out Central Provisions! Thanks for your comment! 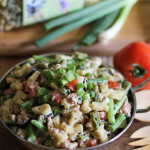 The Lobster Pasta Salad looks amazing! !